This is surely one of the weirdest Peplums ever made! I've told this story before, but a pal of mine went to a Swedish scifi convention some years ago where Ferrigno was one of the guests. I asked my friend to bring the DVD paper cover of Hercules for Ferrigno to sign. Apparently the ex-Hulk was in a pretty foul mood that day, but he brightened up considerably when he was given my DVD cover to sign. 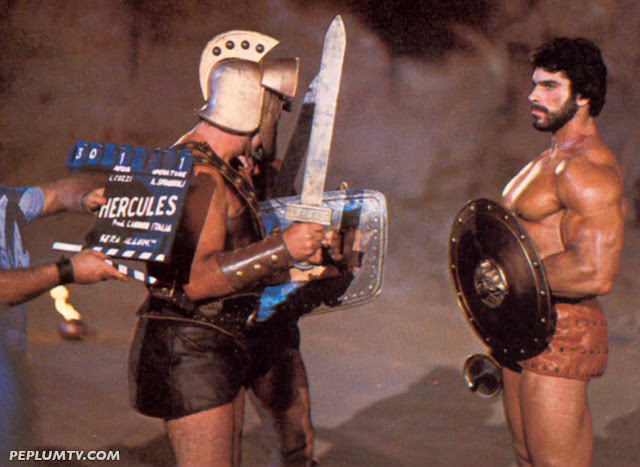 It seems he had very happy memories from filming Hercules, and he was pleased that some people seemed to still care for it.